Let’s say you are trying to restore your old iPhone backup to a shiny new iPhone X. 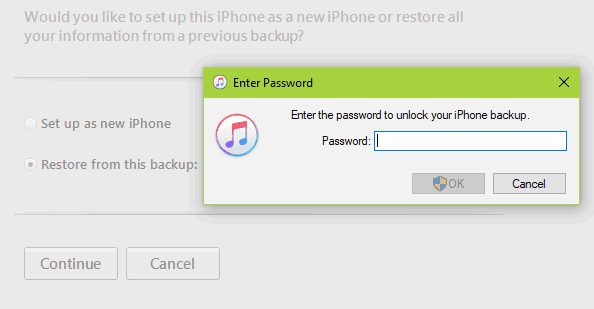 You open iTunes, try to restore, but iTunes says: “Enter the password to unlock your iPhone backup”. What password? I didn’t set any iPhone backup passwords, you silly iTunes! Where did it come from? Neither you nor iTunes have the answers. Don’t worry, we do! Just follow the steps in this easy guide. Before we get started, I want to mention one important thing. Consider using a password manager so you never forget your iPhone backup password again (or any password, for that matter). This is a great article on how to choose a password manager. First thing first, check your iOS device version. If you have iOS 11, consider yourself lucky! Since iOS 11, Apple made it possible to reset your iPhone backup password. Honestly, this is something Apple should have done since they introduced iPhone backup encryption. Oh well. We are not here to judge. Tap Reset All Settings, enter your passcode. Tap Reset All Settings to confirm. 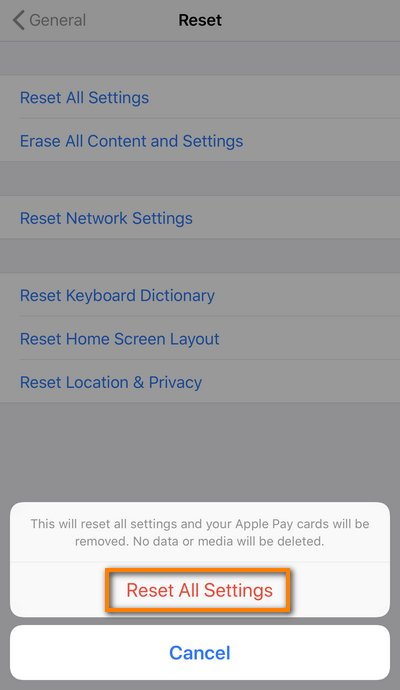 This will reset your settings and your Apple Pay cards will be removed. No data or media will be deleted. Your iPhone backup password is reset! This means that all future iPhone/iPad backups will not be encrypted unless you set up a backup password again. You can set a new backup password using CopyTrans Shelbee or using iTunes. If you have iOS 10 or earlier and don’t want to update to iOS 11, the only way to reset your iPhone backup password is to reset your iPhone to factory settings, which will lead to data loss. Fortunately, some of your data can still be saved. Digging into the “Manifest.plist” file as suggested by some unreliable websites. Note that encryption takes place on the device itself. After you set up the password all your data is encrypted. You are the only person who knows the password to unlock your iPhone backup. Even an Apple representative cannot recover it. Sad news: there’s no magic reset button like in iOS 11 to reset your backup password. But there are still things you can do. You can try brute forcing your backup using special software. A brute force attack is when you let a machine (or, in most cases, multiple machines) test all possible password combinations one by one. Sometimes it can take weeks to find the right combination. It all depends on the difficulty of the password. If you don’t want to let the machines do the job, the only option left is do it yourself. You can try some techniques to remember your forgotten iPhone backup password or to simply guess what it can be. Did you know that nearly 20% of passwords are the birth date of their creator? Eliminate the most common combinations like “Password1”, “qwerty123”, “iloveyou”, 1234 or 987654321. Try the password associated with your Apple ID. This is the one you are asked to enter each time you install an app from the App Store or when you connect to iCloud. 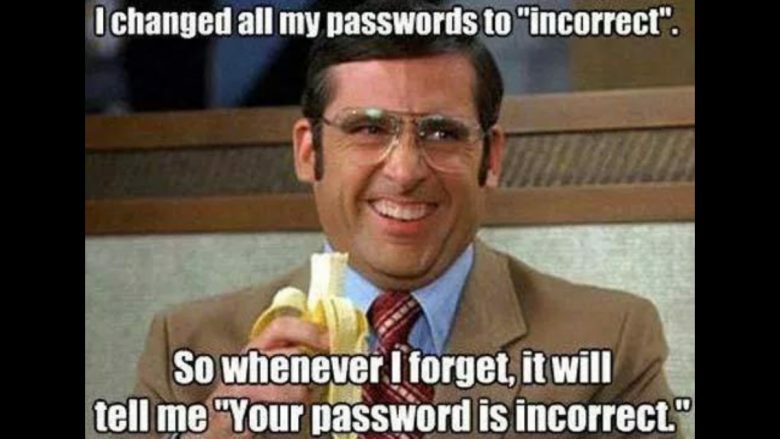 Try the password you use to log in to your admin/user account on your laptop. Try the passcode you use to unlock your iPhone. Try the names and phone numbers of people you are close to. Your favorite TV series? Your address? Your childhood nickname? Try the blank/empty password, especially if you used sketchy software in the past. 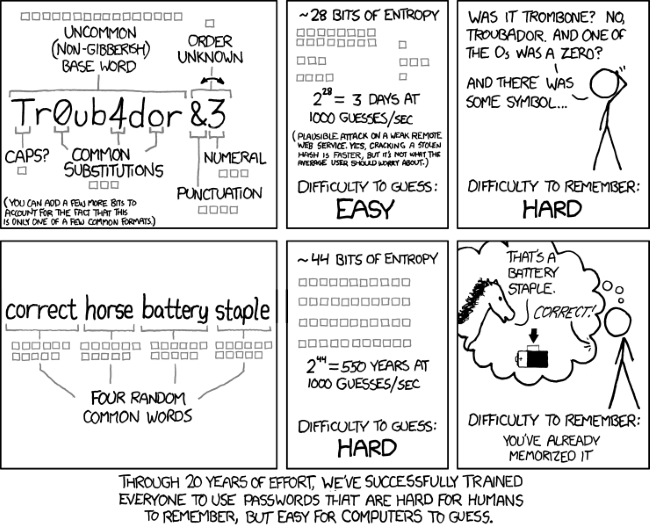 Some unreliable software can set a blank password for you (surprize). If your usual password is longer than 15 characters, try a cut off version of it. There was a bug in one of the iOS 10 versions, where the iPhone backup password was truncated to the first 15 characters only. If you still can’t remember encrypted iPhone backup password, you can go the iCloud backup way. This will send all your data to Apple servers, but if you can’t care less about it, just enable this feature. You won’t need your iPhone backup password when you restore from iCloud. Go to Settings > [your name] > tap iCloud. For iOS 10.2 and earlier the iCloud tab is located in the Settings list. Then tap iCloud Backup and activate it. Make sure you are connected to a Wi-Fi network, then tap Back Up Now. 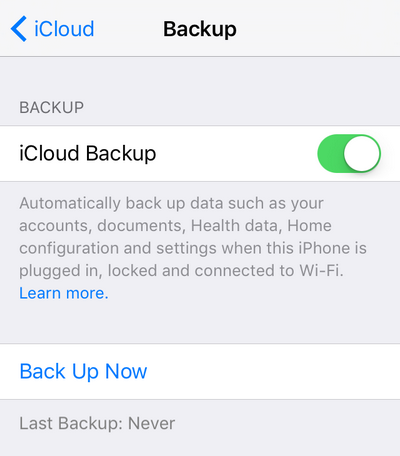 FYI, the iCloud backup happens automatically when your device is turned on, locked, connected to Wi-Fi and plugged into a power source. Please note that before you can restore your data from an iCloud backup, you must erase all its contents first. Also, if your iPhone data takes more than 5GB of space, you will need to pay some extra money. For example, 200GB are currently charged at $2.99 per month. Photos and videos from Camera Roll with CopyTrans Photo. Music with CopyTrans (to the PC) and CopyTrans Manager (back to iPhone). Your app documents like PDF, Excel, Doc, ePub etc. with CopyTrans Apps. 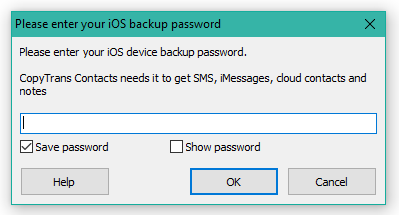 Unfortunately, it’s impossible to back up or restore your SMS, iMessage, WhatsApp and Viber without the iPhone backup password. *You will be able to import notes to the new device only if it has iOS 10 or earlier installed. Starting from iOS 11, Apple has restricted the use of notes, unfortunately. Take from four to six random words that don’t go together grammatically, like “correct horse battery staple” or “snow jellyfish running open”. Note that “red riding hood” or “i love my cat” are terrible passwords because the words go together well and are commonly used.